Length 5-7 mm. 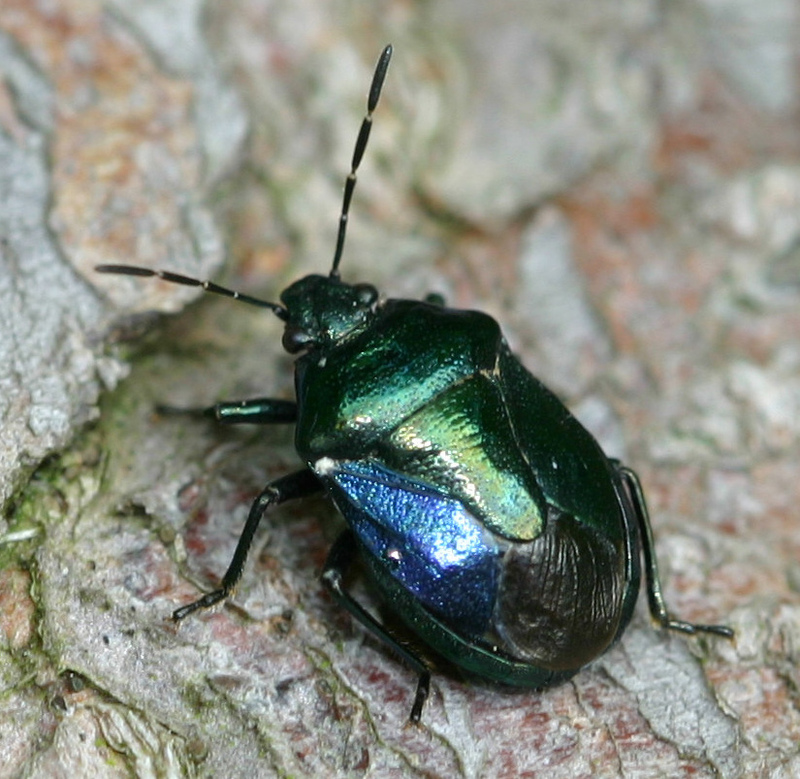 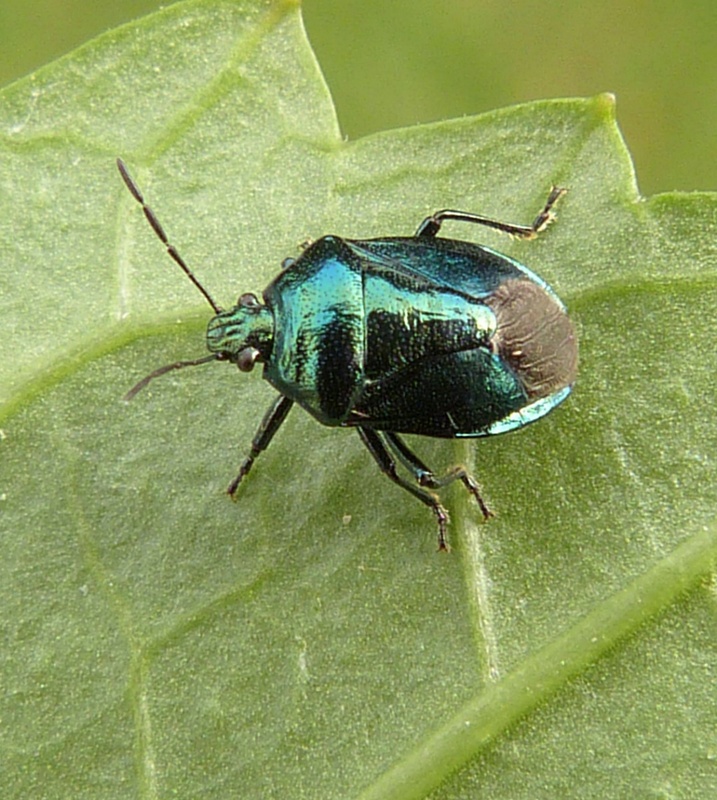 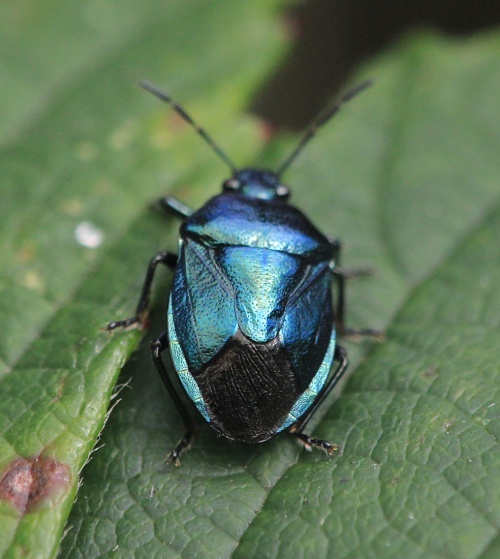 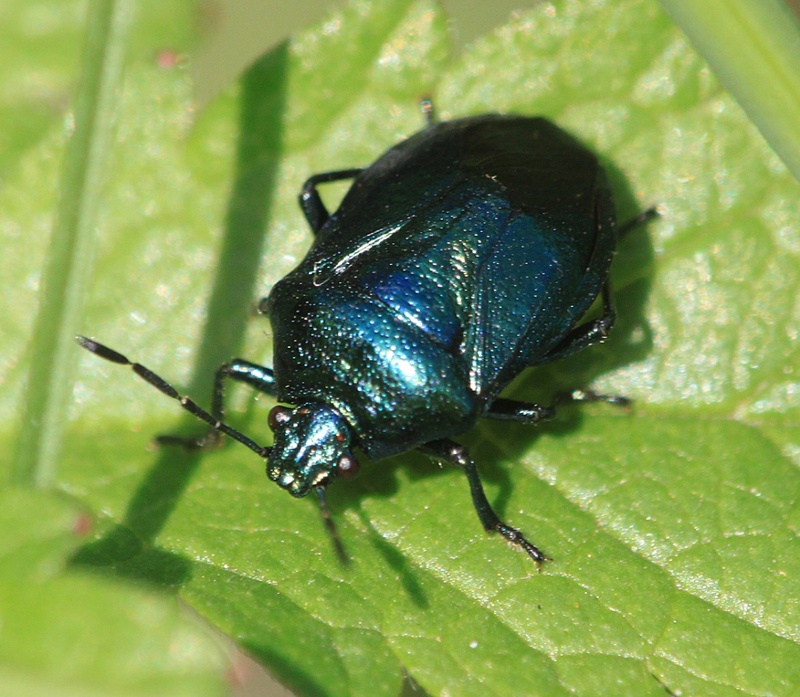 A medium-sized dark shieldbug with a deep blue-green metallic sheen and a dark wing membrane. 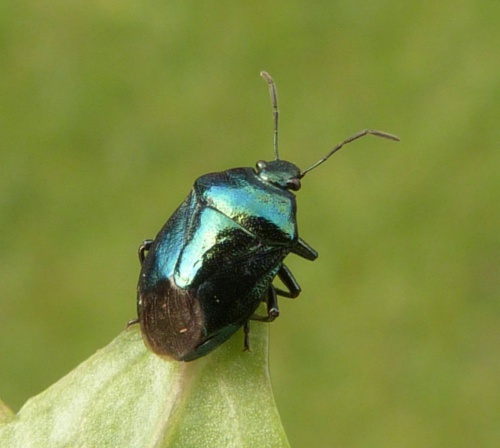 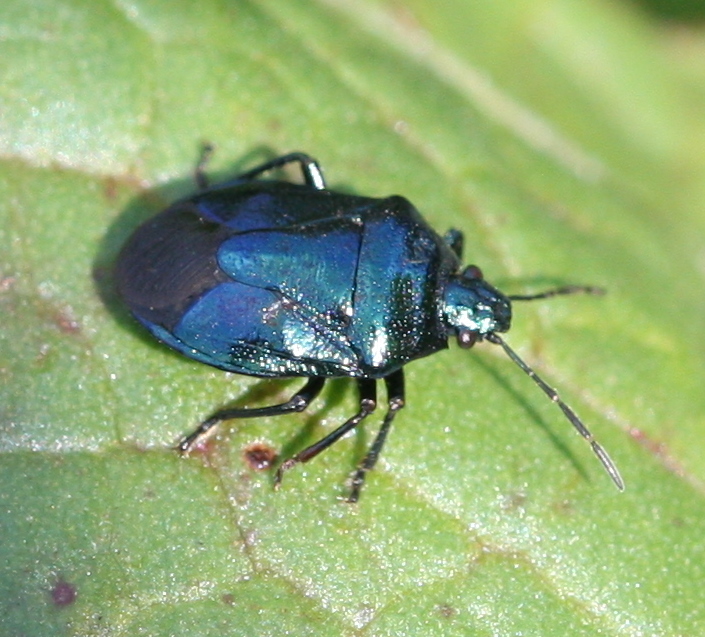 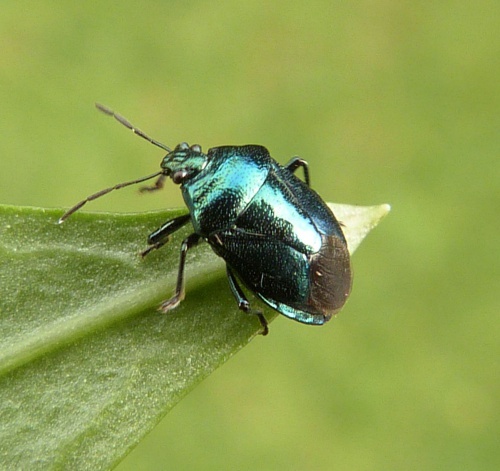 The nymphs can resemble early instars of Troilus luridus but the legs of Zicrona caerulea are all dark rather than mottled and the head and pronotum are distinctly bluish. It occurs on low vegetation in many habitats, including heathland, grassland and woodland rides. 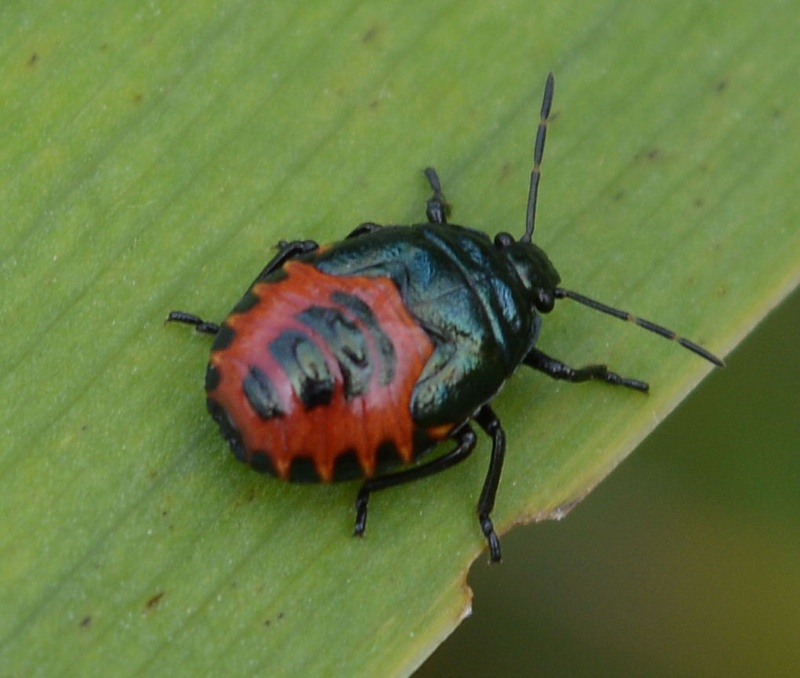 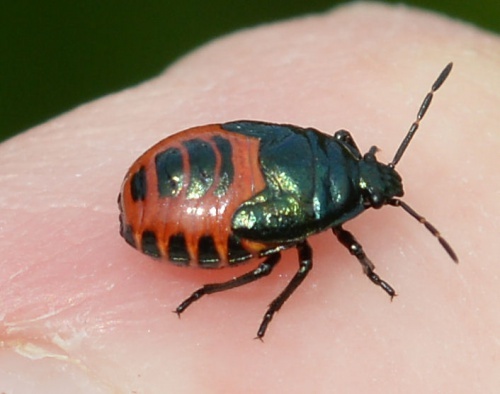 This bug overwinters as an adult and eggs are laid in the spring. New adults are mainly found from July onwards and there is usually one generation per year. A predatory species, favouring the larvae of certain leaf beetles. 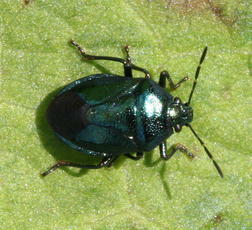 It is widespread throughout Britain, particularly in the north, although absent from Ireland.